Divine Fortune is a NetEnt 20-payline video slot built with 3-rows of Greek Mythology- inspired reel elements, segmented into 5 reels. The highest paying image is that of Medusa, the once golden-haired priestess turned into a loathsome monster by the goddess Athena. The legendary Pegasus also emerges in this slot as the powerful Wild icon that could trigger respins; or even a series of bet-free turns outside of a free-spins round. A divine force symbolised by an image of a Hand clenching a lightning bolt represents the Free-Spins totem. The divine fortune could come by way of the Gold Coin, as the appearance of this icon after a bonus spin, works toward the activation of the Jackpot Bonus Game. The Pegasus Wild emerges in any row or reel; capable of representing any regular paying icon positioned in the same payline, if to complete a win. In this game, the Wild icon cannot form its own winning combination. Yet the image may trigger the following win-boosting attributes every time the reels return with at least one Wild Symbol in view. Falling Wild Respins Every Pegasus Wild that takes position in any reel, row or payline triggers a chain of bet-free respins. During each free turn, all Wild icons displayed across the reels remains in view, whilst dropping to the next position before another respin launches. The falling actions continue until all Pegasus totems have fallen off the reels. Additional Wild Symbols appearing after a respin will naturally prolong the duration of the respin series since the feature ends only if there are no more Pegasus Wilds in sight. Although wins will be evaluated after each respin, the rewards earned from a succession of respins will be aggregated. The sum will be awarded only after every Falling Wild Respin has been resolved. Wild on Wild is a feature that occurs whenever a Falling Wild drops into a position already occupied by an existing Wild. The special event triggers the expansion of the mythical horse into a full-reel Wild image, which will remain as such through the end of the respin series. 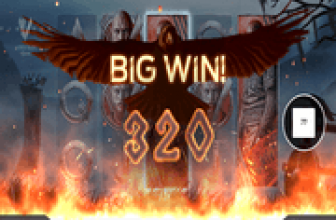 Aside from the Falling Wild Respins feature, Divine Fortune players are given additional chances of reaping bonus wins from a round of Free Games. 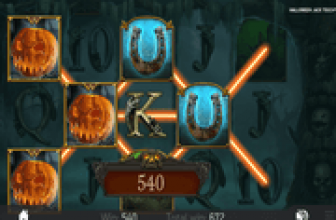 The number of bonus games awarded depends on the number of Free-Spins symbols activating the free round. The Free-Spins totem is marked with an iconic image of a clenched fist holding a lightning bolt. Three, four, or five of such symbol simultaneously taking position anywhere across the reels, initiate the loading of five (5), eight (8), or twelve (12) free games respectively. During the round, every Wild icon occurring as outcome of a bonus spin automatically expands into a full reel Pegasus Wild. Bonus Game players can expect a longer round of free games since the Falling Wild Respins Feature will continue to be accessible. This NetEnt video slot has three (3) top Bonus Prizes to offer via another round of free games: the Minor, the Major, and the Mega Jackpots. However, the segment can only be activated during a series of Falling Wild Respins or during the Free-Spins Round. A Gold Coin totem poses as the trigger symbol. Every Gold Coin occurring within a respin or free-spin series will be collected via the Jar image located on the right side of the screen. Once three Gold Coins have been transferred to the Jar, the game activates a new set of reels, devoid of any Divine Fortune reel elements. Three bonus spins will then be awarded, while the three Gold Coins activating the round will be placed in arbitrary positions across the blank reels. Here, every Gold Coin image in view, including those that activated the Jackpot Bonus Game, awards random coin credits ranging from 10 to 200. 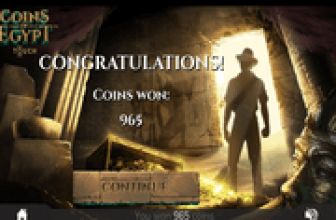 Moreover, each Gold Coin emerging after a bonus spin adds one (1) extra turn. In the event one, two, or three rows are filled with Gold Coin totems, the Minor, Major or Mega Jackpot will be awarded accordingly. Divine Fortune : Awesome Bonus Wins from Falling Wild Respins and 2 Bonus Games! Divine Fortune video slot by NetEnt furnishes an exciting reel-spinning adventure in which bonus wins can be gained in both base and bonus games via the Falling Wild Respins that usually occur as a chain of bet-free turns, and thru 2 Bonus Games: the Free-Spins Round and the Jackpot play.